Cordoba is one of the three inland provinces which full of history, tradition and lovely Boutique Hotels and B&Bs. Not forgetting the Andalusian cuisine and tapas culture, the fabulous old city on the River Guadalquivir with the extraordinary Mezquita Mosque/Cathedral and charming narrow Jewish-quarter is must visit for any trip to Andalucia. Wander the twisting cobbled streets, wonder about its history in the huge Plaza Corredera where some Roman mosaics were found,. Visit the exhibition of the excavated mosaics in the Alcazaba – the beautiful Royal Palace. Plant and patio lovers will swoon over the Palacio de Viana, it has twelve unique patios as well as a being an interesting museum. 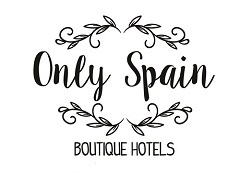 The historical Jewish quarter and great gastronomy market – Mercado de la Victoria must be seen and after you have visited all of these my top tip is – see a horse show in ancient the Royal Stables with the gorgeous Andalucian horses performing incredible feats. Whether you are a horse lover or not the horses are remarkable. The old city is lovely with some really special hotels and worthy of several nights stay but don’t stop there, the province of Cordoba has lots of gorgeous small towns to visit or to stay in. See our list of lovely places to stay in both the city and the province. When is the best time to visit Cordoba? Except July and August when it’s very hot Cordoba is good to visit any time of year but the best month is May. Why Visit Cordoba in May? May is fiesta month beginning with the fiesta of the May Crosses, closely followed by the Cordoba Patios and then it’s the Cordoba Feria. Read our blog post Cordoba, Spain Full of UNESCO Sites.